A decision making process example drawn with Edraw. 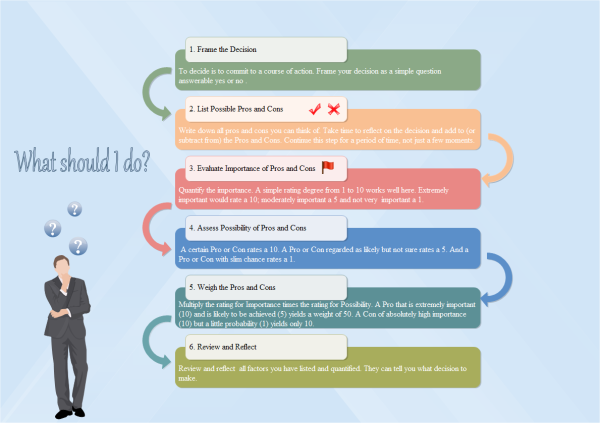 With this easily customizable decision making process template, users can represent any existing decision making process. List Possible pros and cons. Evaluate importance of pros and cons. Assess possibility of pros and cons. Discover why Edraw is an excellent program to create decision making process. Try Edraw FREE.